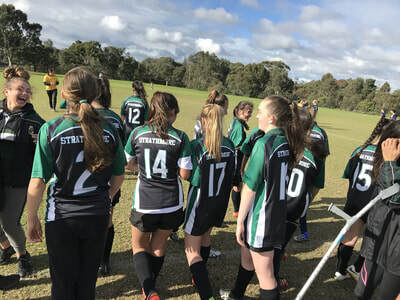 On the 12th of June, the Junior Girls soccer team played their first round of competition in the Moonee Valley District. The girls played against Buckley Park Secondary College and Rose Hill Secondary College in a round robin tournament at Cross Keys Reserve. This was a mixed Year 7 and 8 girls team playing under as Year 8. 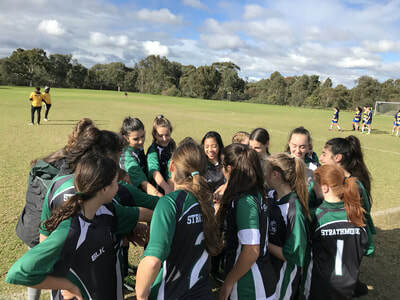 The first match saw the girls play against Buckley Park Secondary College. Ada and Yaren were very quick in firing goals and collectively booted seven goals to go into the half time break with a very comfortable lead. Plenty of rotations in the second half had the girls playing in different positions. The girls defeated Buckley Park Secondary 10-0. The final match for the day was against Rose Hill Secondary College. A win would secure a spot in the Western Metro Round. The girls comfortably defeated Rose Hill 12-0. Goalkeeper Amanda was very influential in the second half and scored two goals as an on-field player. Georgia D capped off an amazing day by scoring a hat-trick and proved to be the best on ground for the match. Ada and Victoria scored two goals each with Ellanah, Yaren and Georgia E also contributing to the score sheet. Congratulations to the girls. Next up Western Metro Round on the 28th of June.